Google Books is such a great resource! I recently stumbled upon The hand-book of millinery. 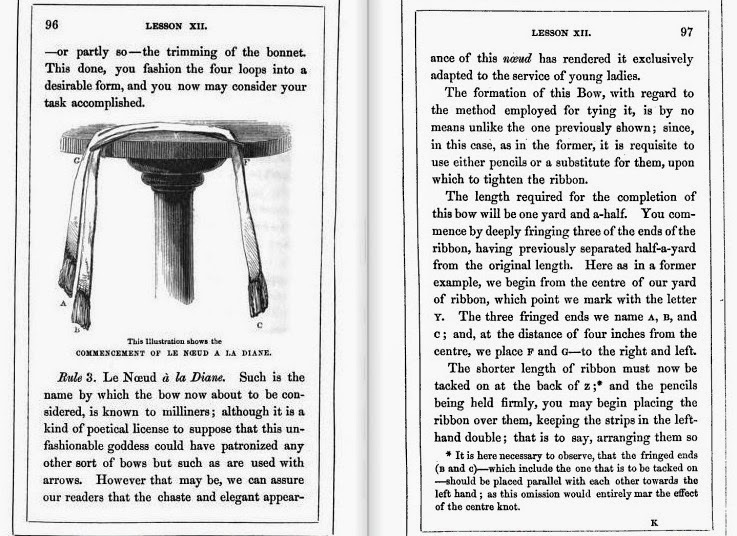 To which is appended an essay on corset making, an 1847 book that highlights millinery tips. 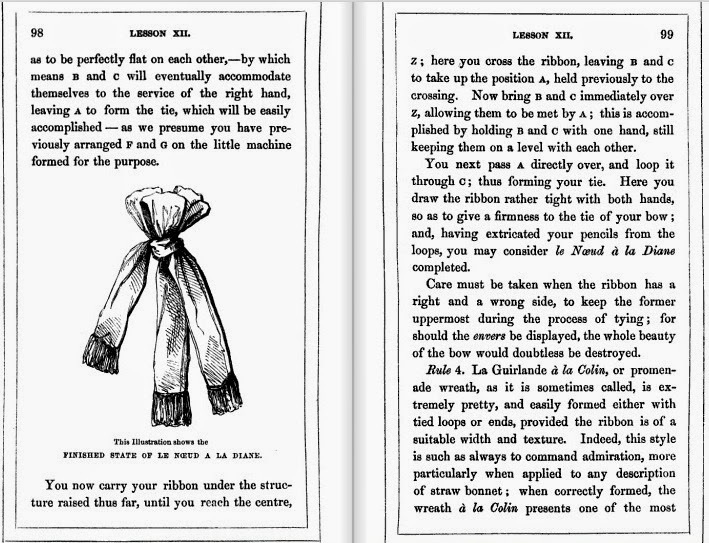 While I consider the 1840s to be outta my era, I found instructions for making various bows that seem Regency-esque and apropro for the 1812 millinery shop that Kitty Calash and I are prepping at Salem Maritime National Historic Park in August. Scissors, thread, pins and a needle of course. Cut half a yard of ribbon. 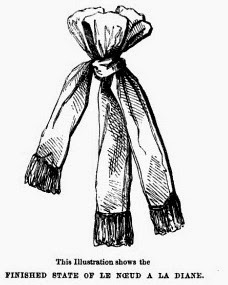 Sew this piece to the center of the longer piece of ribbon. ...three loops. The ribbon on far left side forms the tie. As you get ready to wrap the ribbon around to create the tie, the pencil helps anchor the other loops. Fluff the ribbons and it’s good-to-go! The original directions call for deeply fraying the ends. My lovely ribbon, which you can find at Dames a la Mode on Etsy, is very lightly wired so I passed this step. The photos below capture the original directions, but you can also find them in the Hand-book on p96.